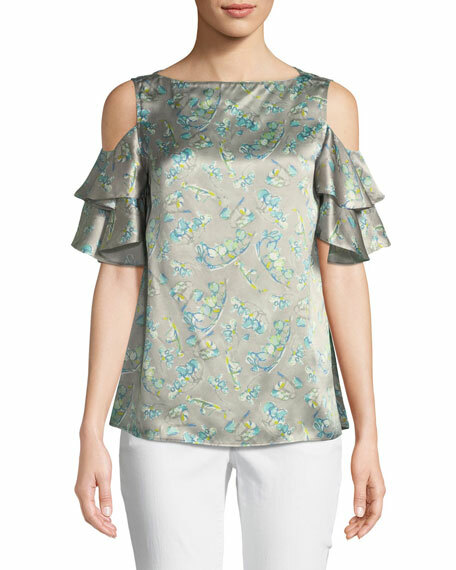 Lafayette 148 New York "Layla" blouse in allover diffused lily print. 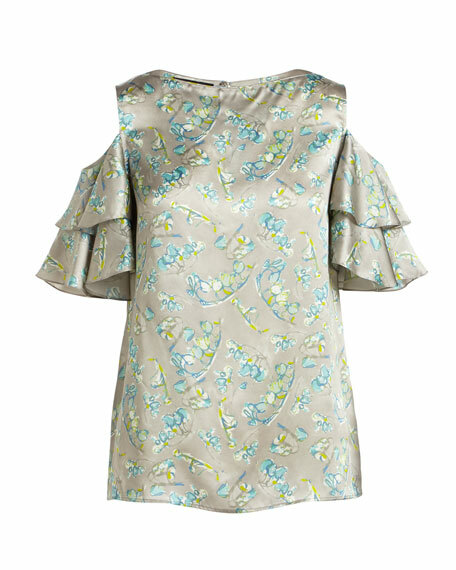 Short ruffle sleeves; cold shoulders. 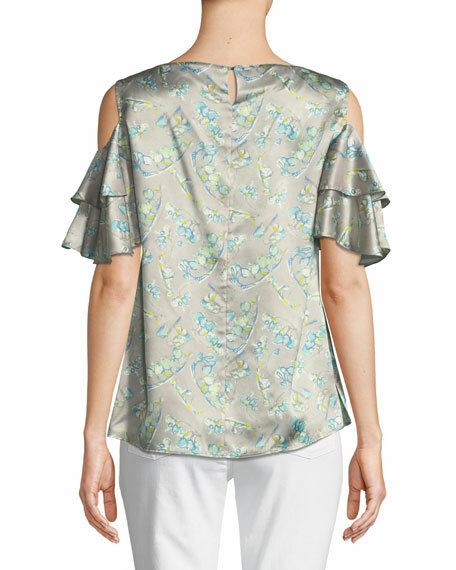 For in-store inquiries, use sku #2461009.